I’m just catching up with some headlines printed on Hetq Online that stood out. Shushi has been under Armenian control for 17 years now, since the town was secured by Armenian troops. But during these 17 years very little has changed there. A modern hotel was built catering to Armenian tourists from the diaspora, and the church that was standing there was completely restored and is in working condition. The streets in town have been repaved and new curbstones as well as sidewalks were installed, back in 2005 when I was there to attend a wedding. But bombed-out buildings stand, and a scant 5,000 residents (at that time, who can say what the population is now) remain, with no opportunities for work. I remember speaking with someone who told me that he was obliged to travel to Stepanakert every day. It’s only a 20-minute drive there by car, but he shouldn’t have to go there at all. Not when so many Armenians take pride in the town as a beacon of Armenian cultural heritage and a symbol for the change in tide that lead to Armenia’s ultimate victory in the war. 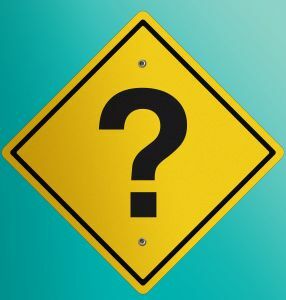 So what I want to know is–why hasn’t Shushi already seen development during these 17 years? Why are there no job opportunities there? How is that the NK government, or Armenian society for that matter, left it ignored all these years? I haven’t been back there since 2006, but I am fairly certain that the town is stagnating and people are still leaving. 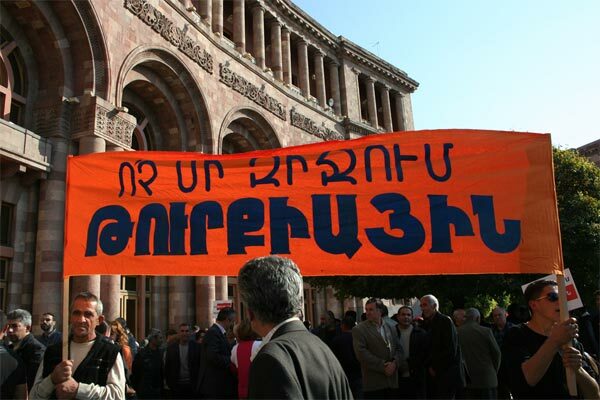 The fact that Armenians seem to be uninterested in the town’s prosperity doesn’t make any sense, especially when thousands of people died to secure Artsakh’s independence. Here’s another oddity–Nikol Pashinian, the editor of the newspaper Haykakan Zhamanak and firebrand spokesman of the “Aylentrank” oppositional movement which backed former president Levon Ter-Petrossian in the 2008 presidential race is on trial for apparently no reason. He was on the run for well over a year, wanted by the authorities for his presumed role in the March 1, 2008 attacks, but there is no real evidence to show that he had anything to do with the violence waged by protesters/agitators on scene. He came out of hiding a few months ago and was promptly arrested. Yet how can he be held on trial if there are no solid charges against him? told Al Jazeera in a recent interview that the subcommision would eventually accept the Turkish line (of denial). The agreement to form such a subcommision was portrayed as an act of goodwill, brotherly love and whatever other nonsense by the Armenian side. Now these bastards are shoving genocide denial in Armenia’s face before the entire world, and President Serge Sarkisian has shamelessly refused to comment about these remarks. With each passing day, Armenia is looking more idiotic before the entire world for agreeing to sign the protocols. 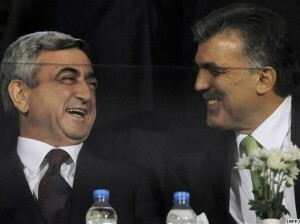 The Turks continue to laugh on a diplomatic level at Armenian (and American!) calls for genocide recognition, even in the act of good faith and trust-building that these absurd protocols were supposedly all about. 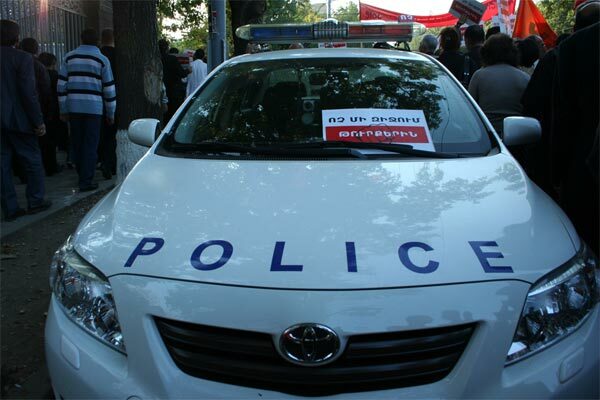 Yerevan in the meantime is mute. I can’t wait to hear what President Sarkisian will eventually tell the press, if he even dares to. On Wednesday, the protocols were formerly introduced to the Turkish parliament for deliberation and anticipated approval. Anticipated primarily by the West I should add. Nevertheless, Prime Minister Recep Tayyip Erdogan promised that the parliament would not ratify them. The main opposition party leader criticized the recent signing of two protocols between Turkey and Armenia, which call for the opening of the border, closed since 1993, and the restoration of diplomatic relations. Mr. Baykal added that the main opposition party will not sacrifice Turkey’s friendship with Azerbaijan because of the bad policies of the government. Meanwhile, Armenia claims that its National Assembly will not deliberate on the protocols until Turkey’s parliament ratifies them. So judging by this information, Turkey’s friendship with Azerbaijan is far more important than the budding one with Armenia. This was already assumed before the protocols were signed with similar statements made in the Turkish Press, including those previously stated by Prime Minister Erdogan. So why were the protocols signed, what did the signing actually accomplish? That Turkey is indeed a peace-loving, yet hypocritical nation? Given the recent developments in the ongoing plight to accept the “gestures of goodwill,” you have to wonder what the point to this hype is. I find it hard to believe that the Turkish parliament will indeed reject the protocols since Turkey indeed has lots to gain from an opened border with Armenia and “free” commerce, not to mention a possible stronghold on Armenian’s far from stable economy. There’s also the paranoid, nevertheless legitimate fear of Pan-Turanism taking root once the border opens. I really don’t think that Turkey—including its hardliner politicians—give a damn about how the Nagorno-Karabagh conflict will play out in the end, yet Prime Minister Erdogan claims the opposite. He’s shown his deceitful side several times in the past so I can’t really believe his words until the Turkish parliament ends up rejecting the protocols, but again, I doubt that will actually happen. Yet let’s consider that I am wrong and the protocols are not ratified. Again, what was the point of signing them in the first place—a simple, feeble demonstration of good will? Was President Sarkisian simply gambling by agreeing to the protocols knowing quite well that they wouldn’t be approved, or was he indeed sincere about implementing them? And what was all that congratulating about on President Sarkisian’s part every time Turkey scored during the football match on October 14? (Armenia lost 2-0.) Armenians didn’t take too kindly to his behavior. Was that part of his chess-like charade, assuming there is one? Personally I stopped caring about this process the day the protocols were signed. I realized then and there that I did all I could in the effort to stop the protocols from being signed by repeatedly writing about the dangers for Armenia on this blog and in other articles. 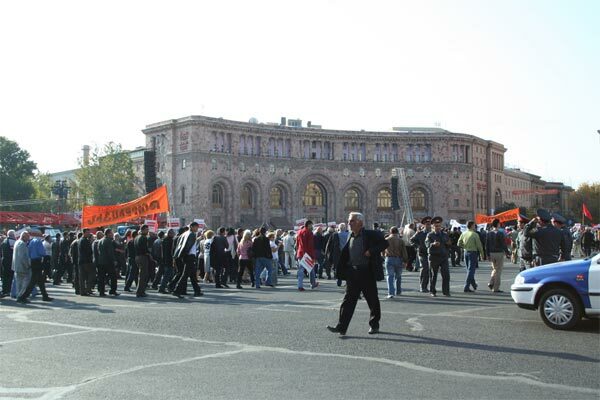 And after judging the rather weak protests that have been ensuing in Armenia against the protocols during the last four weeks, I became even more indifferent. I join millions of others wondering what the end-result will be from all this, without really caring that much about the outcome. Armenian citizens who are opposed to an opened border under the current circumstances should be more vocal about their beliefs, and their silence is convincing me that nothing about this process really matters. 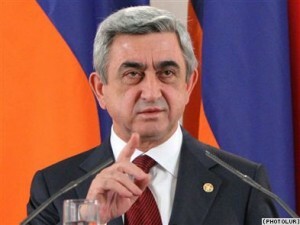 As you’ve undoubtedly read in the news during the last week, President Serge Sarkisian visited many cities around the world where large communities of Armenians exist, namely New York, Paris, Los Angeles, Beirut and Rosdov-on-Don. In the first four cities cited he was met with hundreds or else thousands of angry protestors before meeting with community leaders behind closed doors. The president nonetheless found the trip useful, saying that he received “very important messages.” “I had a chance to once again feel just how different we are depending on our birthplace, community of residence, organizational affiliation and at the same time just how similar we are with our collective Armenian identity,” he said. Sarkisian spent most of his speech again defending his policy of rapprochement with Turkey and trying to allay serious concerns expressed by his some Diaspora groups. He insisted in particular that the planned establishment of a Turkish-Armenian panel of historians will not stop Yerevan from pressing more countries of the world to recognize the 1915 mass killings of Armenians in the Ottoman Empire as genocide. “On the question of the recognition and condemnation of the genocide, we have an obligation and we will fulfill that obligation till the end,” he told the advisory body comprising Armenia’s top state officials. 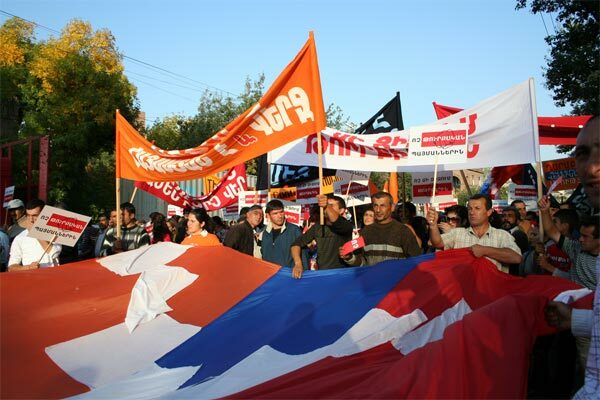 Nationalist groups in Armenia and the Diaspora believe that such recognition should be eventually followed by Armenian territorial claims to parts of what is now eastern Turkey. They say that the Sarkisian administration precludes such possibility by agreeing to formally recognize Armenia’s existing border with Turkey. Sarkisian again brushed aside opposition allegations that as part of the Western-backed deal with Ankara he also agreed to ensure greater Armenian concessions in the Nagorno-Karabakh conflict. “We will never opt for unilateral concessions in the Nagorno-Karabakh issue, regardless of what we could be offered in return,” he said. The president also scoffed at suggestions that the reopening of the Turkish-Armenian border would make Armenia economically dependent on Turkey and hurt domestic manufacturers. “It is like suggesting that the best remedy against headache is decapitation,” he said. So basically the president didn’t take anything into consideration when he met with concerned, even pessimistic leaders of Armenian communities in private wherever he went. Seems that Foreign Minister Edward Nalbandyan will definitely have the go ahead in signing the protocols on Saturday (Oct. 10), then of course it’s up to the parliaments of Turkey and Armenia to verify them. The Republicans and junior coalition partners Prosperous Armenia and Orinats Yerkir have pledged their support for the protocols, so they are sure to be ratified in the National Assembly without a doubt. 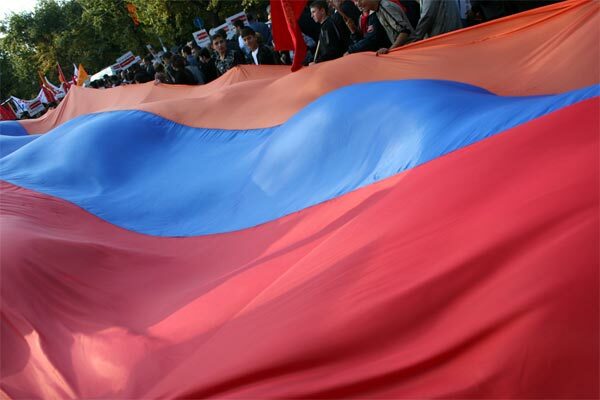 I suppose the only hope for those who don’t want the border open, I would say the majority of Armenians worldwide (and even among apathetic or distressed Armenian citizens, who likely hold the majority opinion that the border should remain closed under the given circumstances despite government propaganda claiming the opposite) is that the Turkish parliament with its powerful nationalist hardliners will reject the protocols. That is most likely not to happen: the Turks have plenty to gain from an opened border. The Armenian economy will most certainly be totally controlled by Turkish business interests after some time, despite the president’s unconvincing arguement to the contrary. After all, I don’t think he really cares about Armenia’s long-term future. None of Armenia’s leadership does, otherwise they would consider what’s really at stake. Yet I couldn’t help think this morning that as a surprise move Turkey would have perhaps even more to gain should it recognize the Armenian Genocide just before or even shortly after the protocols are ratified. Turkey will certainly make huge sums of money in tourism with hundreds of thousands of Armenians in the diaspora returning to their homeland for a visit. Emotional ones would probably buy land in their hometowns, perhaps even build a house. 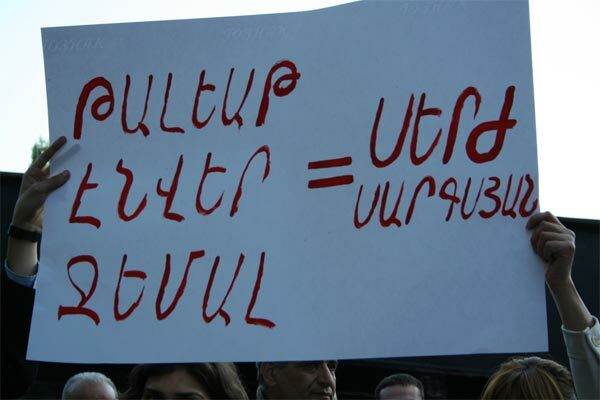 Before long, Armenians will find themselves in the situation they were in 100 years ago and long before–living as serfs under Turkish hegemony. But to hell with all that. Open the border! Let’s make as much money as possible by buying and selling Turkish-made crap in the Armenian marketplace! Let the Turks come in and spend money. Let’s go to Turkey in the summer for vacationing! Let our businesses grow and prosper–that is, of course, until we are bought out completely by Turkish business rivals. Good luck, Armenia. You’ll definitely need it.